The URL shorting is a mechanism by which we makes any URL Small. By providing a new look of Links. By this technique we make a short link including forwarded on original large link. 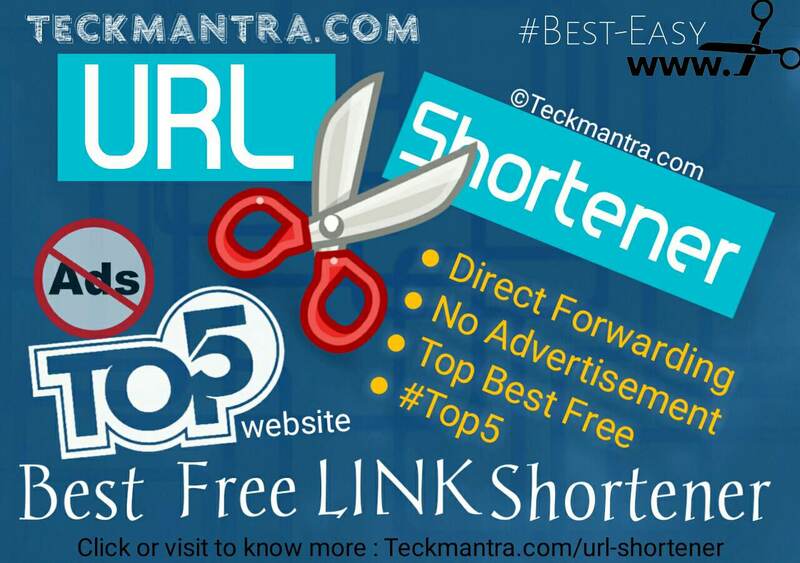 Some people are confuse to chose the right URL shortener, Because at this moment there were lots of website who Providing the Link shorts Features, with added Extra Features such as Click count analytic, Edit after once, forwarding Links at after one and so on. Don't Confuse Choose the Right one according to Your preference and uses. In Default Shorting the Shorted URL takes some alphabets or numeric value by Default as available there, After the service provider domain. This is an example of Default shorted URL, Here "domain.com" providing the service and "fk43s6j" taken as random. 2nd one Custom Shorting, in This the user can type own words and sentence after the service provider domain. 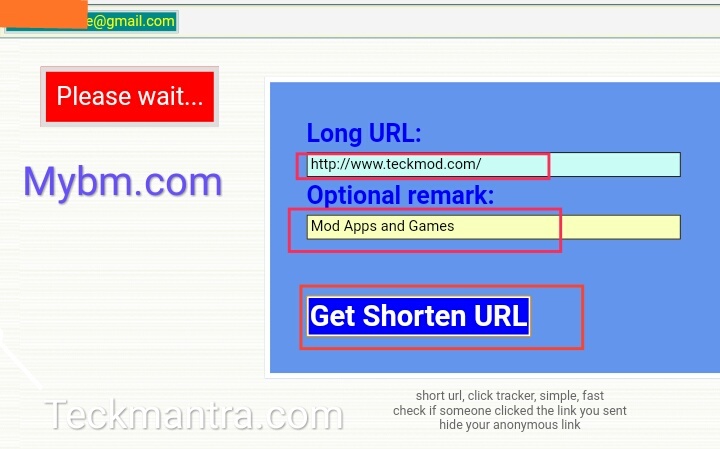 This is an example of custom shorted URL, Here "domain.com" providing the service and /"search-teck-mantra" typed by User. The main problem in Custom Shorting are specific service provider domain can't take same custom values for another time. This mean it may be to happen with you that you found "this address not available"
One of the Best free Default URL Shortener "goo.gl" (A google products) has stopped by google from the Shorting service from 13th April 2018 for new users and only available up to 30 march 2019, for existing users too. After it this service will No longer Exists. We all know long Links are boring and old fashioned and hard to share or use, some time we need to remember a URL also the Long links are look like spasms and lots such reason we need a URL Shortener. In some forms, social networks or social forms has fixed word space, May the Short links be Helpful. The YouTube description have word limit up to 5000 words and inside the video have 200 max, same as twitter description has 300 characters. Here you can use Shorted link to give the space other words. 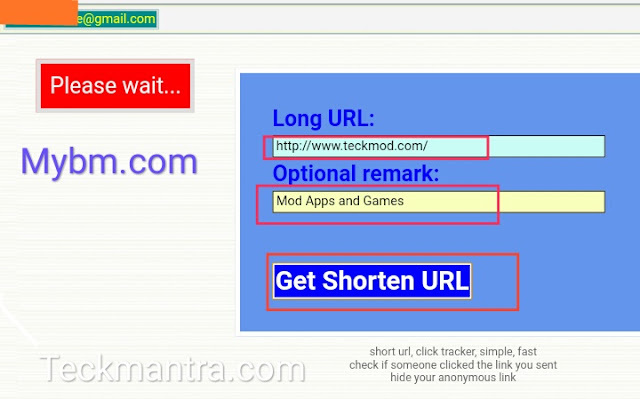 Some time URL shorteners are makes simply to help embed UTM limits and allow you to better track links in Google Analytics or other third-party authority. while others focused on helping you to monetize your links by inserting interstitial ads. It is going Helpful there. Now a days most of the creators and developers are promoting links on social media and so on. There were a short link may Helpful to show a sharp image on viewers mind. Here some points in bullets what is the benefits of URL shorting and why people use it. By this following will Happens..
Then There are many of websites, plug-ins, and open source advance code bases that allow you to shorten a link or use a 301 redirect to move users link and traffic from one web address to another web address. The Shorted URL takes more time to reach on original page comparing with original URL. If You are a website owner the use your own domain Redirecting, Not use Any third-party authority. You can Red more about URL Shorteners on Wikipedia and Google. Bit.ly is one from top most famous URL shortish, contains tracking and analytics system. It's use Defaults Shorting. CONS : Can not edit the destination URL, Can not create more than one short link with the same destination Link. Tinyurl is one from best custom and Default URL Shorting. It support tracking system on log-in free. It has alphabets and numeric values by random in defaults Shorting. In Custom Shorting words separate by dash. 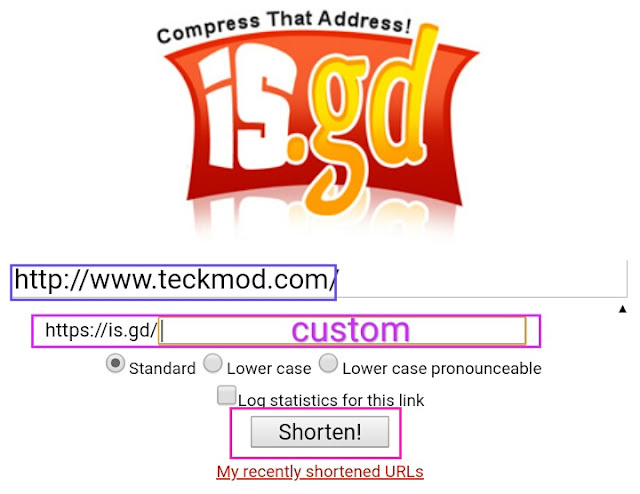 Is.gd is one from both URL Shortener i.e from custom and Default. The free service provided by is.gd even work without log-in with whole analytic data. In Custom Shorting words separate by underscore only. Mybm.com is a normal URL Shortener, the most worst things its need of sign-up for Ads free URL forwarding. You are also able to short your links without log-in or sign-up but it has 4 seconds of advertising when click on shorts URL. It is working best (No ads Direct forwarding) in case of URL shorted after log-in by user. The log-in process is too simple just fill your email and check it, you got your temporary password for log-in on your email address. ◆ You can Also Try These for spam or for non serious Use. Teckmantra satisfied 45% about 5 & 6, After a long use, we conclude tiny.cc and soo.gs is no as better as upper List, but for spamming or temporary use You can Try it. CONS : Showing Ads between URL forwarding. Final words : Here I'm posted Top Best 5 URL shortener free website from the global, Here the serial number are based on my experience it may be other are better than the list, please comment about it and Your Experience Because No one is perfect. Choose Your Favourite website for Shorting Your Links according to your needs.